On January 27th, 2019, the Taliban and the US government each publicly stated acceptance, in principle, of a draft framework for ongoing negotiations that could culminate in a peace deal to end a two-decade war in Afghanistan. “The war was started by men, the war will be ended by men,” an aide to Rula Ghani, the wife of President Ashraf Ghani, recently told a Reuters reporter. “But it’s the women and children who suffer the most and they have a right to define peace.” In 2018, the UN expressed alarm at the increased use of airstrikes by US and Afghan forces which caused a rising death toll among women and children. In the run-up to the past week of negotiations and even during the negotiations, attacks and counter attacks between the warring parties killed dozens of civilians, including women and children. Both the Taliban and the US seemed intent on showing strength and leverage by demonstrating their willingness to slaughter the innocent. Another group not represented at the negotiating table is the “People’s Peace Movement.” Beginning in May of 2018, they chose a path which pointedly eschews attacks, revenge or retaliation. 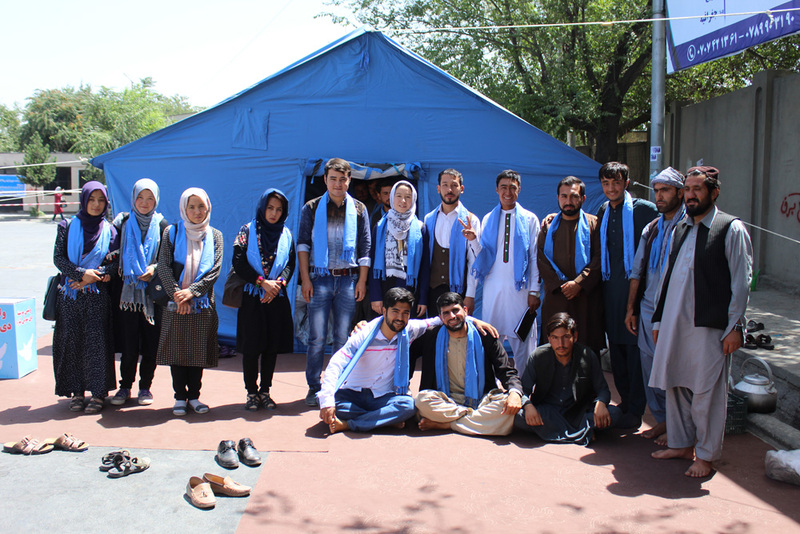 Following deadly attacks in their home province of Helmand, initiators of this movement humbly walked, sometimes even barefoot, hundreds of miles, asking people to reject the entire institution of war. They’ve urged an end to revenge and retaliation and called on all warring parties to support a peace process. Their journeys throughout the country have become venues for informal hearings, allowing opportunity for people to collectively imagine abolishing war. We in the US have much to learn from Afghan women human rights advocates and the People’s Peace Movement regarding the futility of war.